24 weeks. Looking more and more like a pumpkin every day. Happy (almost) Halloween! See my whole baby bump series here! 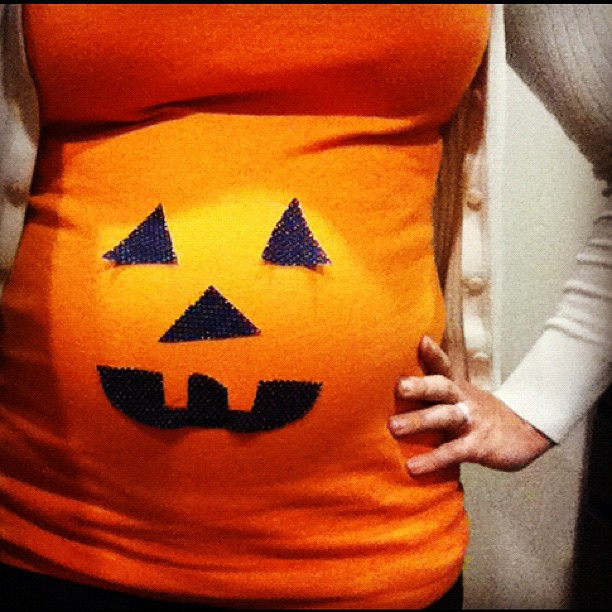 Also check out my jack-o-lantern baby bump! Haha! Made it myself. 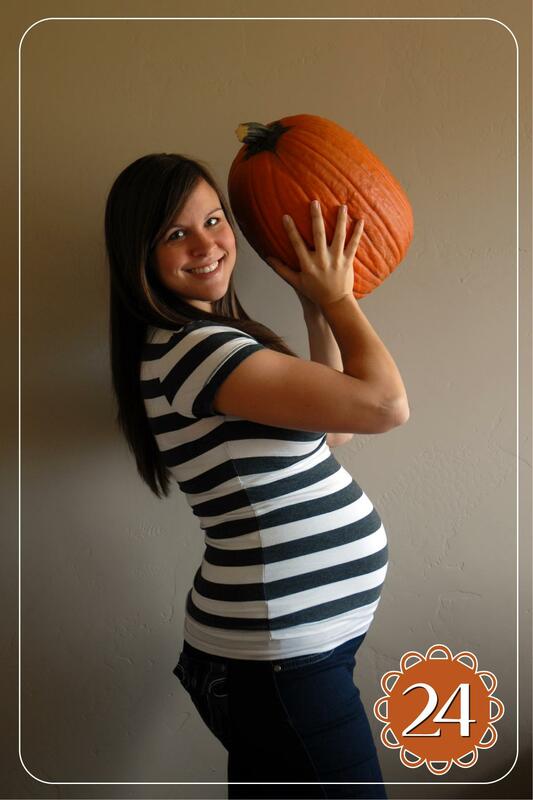 Here’s my pregnant Halloween costume! 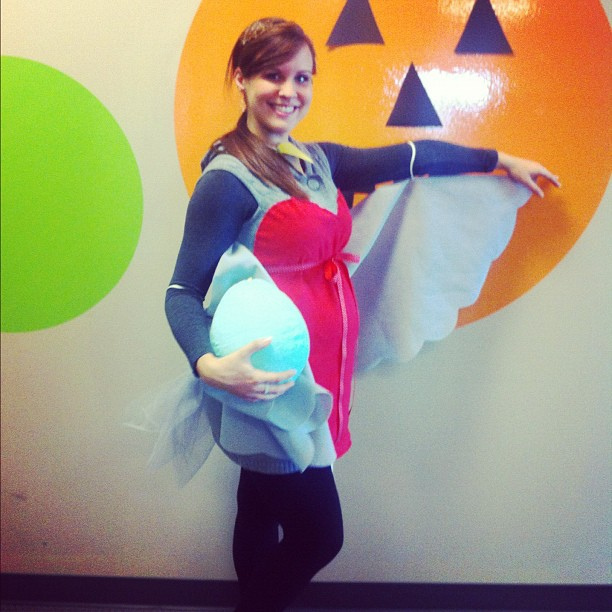 I went to work at BabySteals as a mama bird nesting my little robin’s egg.